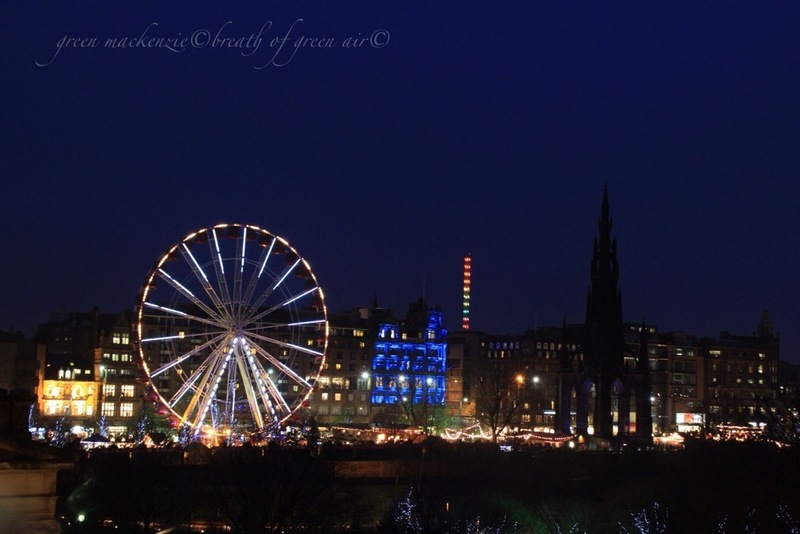 Here are some more shots of Edinburgh lit up for the festive season. It was pouring with rain on Saturday when I took these, which made the whole process of night shots even harder, but it did add some wonderful reflections on the pavements. Despite the rain the centre of town was full of smiling faces, rushing between dry spots, and bars like this one were doing a roaring trade. Called The Dome, this majestic building now serves food and delicious cocktails, where once cheques were signed and cash stored away in vaults. The old Edinburgh banks make great venues for a far livelier crowd nowadays than they were first designed for. The city fathers might not have approved, but I love to see life breathed into these old buildings. I loved the swirling spirals of these garlands, curling heavenwards. Alas pointing my camera upwards resulted in a rain splattered lens, this was another challenge to be overcome. 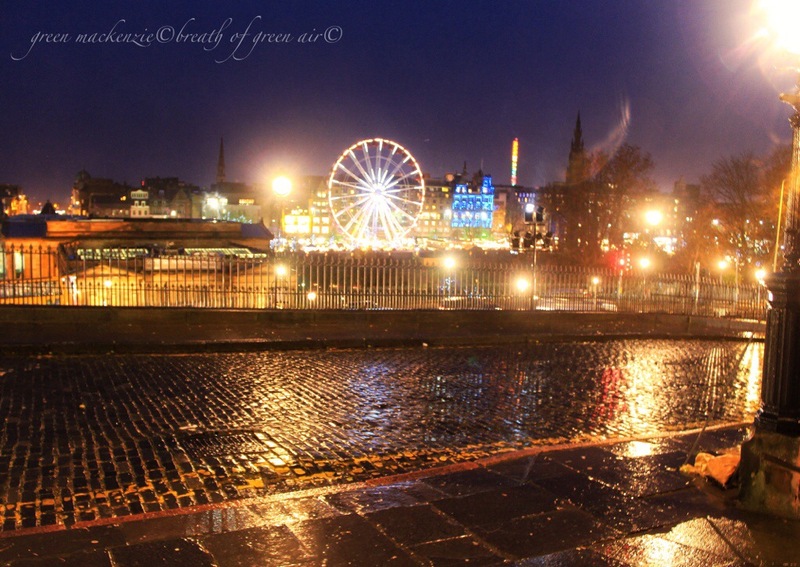 Night photography is definitely a challenging affair, especially in the rain. As if all this wasn’t enough, the wind was gusting up to 70 miles per hour, so holding the camera steady was very difficult. You can see that the big wheel isn’t turning in the photo, that’s because it was shut due to the high winds, but it did give me a nice clear shot. All told I think this was one of the most challenging photography sessions I’ve ever done! I decided to try and get a less blurry shot of the Norwegian Christmas tree I showed you last week on the Mound, and despite the rain, and no tripod I think it came out quite well. 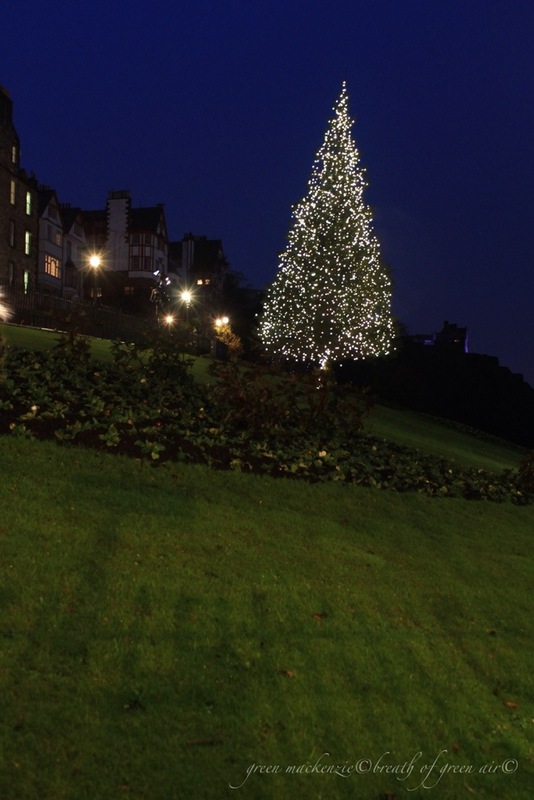 From the side the tree even looks straight, and behind to the right is Edinburgh Castle. It was starting to get cold by this time so just a few more photos before heading home to the warmth and a big mug of hot chocolate. 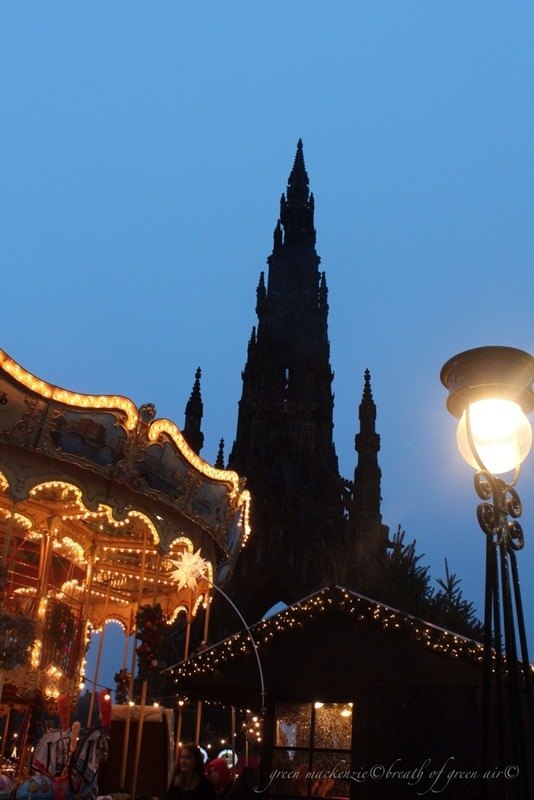 This entry was posted in Edinburgh, photos, travel and tagged 2013, Christmas, city, Edinburgh, lights, night, photography, scotland, winter. Bookmark the permalink. Eye candy to a country girl, Seonaid! Every single one of them. Happy Holidays and may the wind blow in the right direction. Oh yes Poppy, it was hot chocolate all round to warm up! 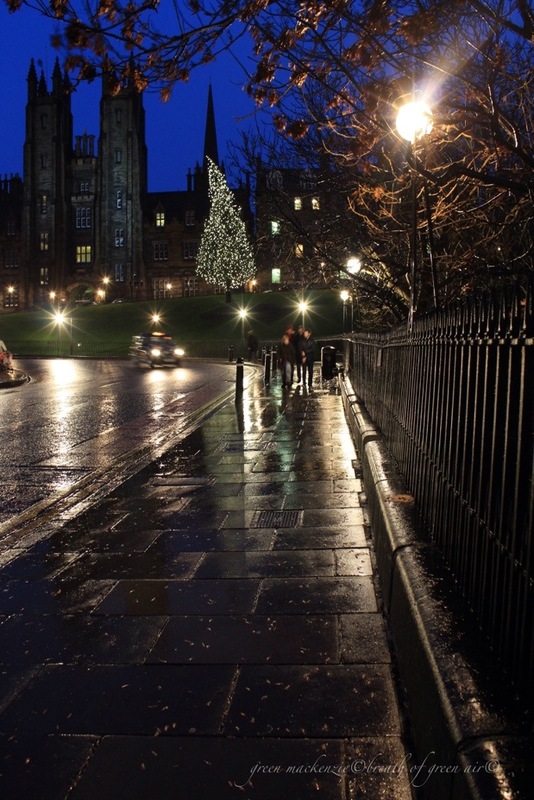 I felt the Christmas spirit growing too while taking these….despite the weather! 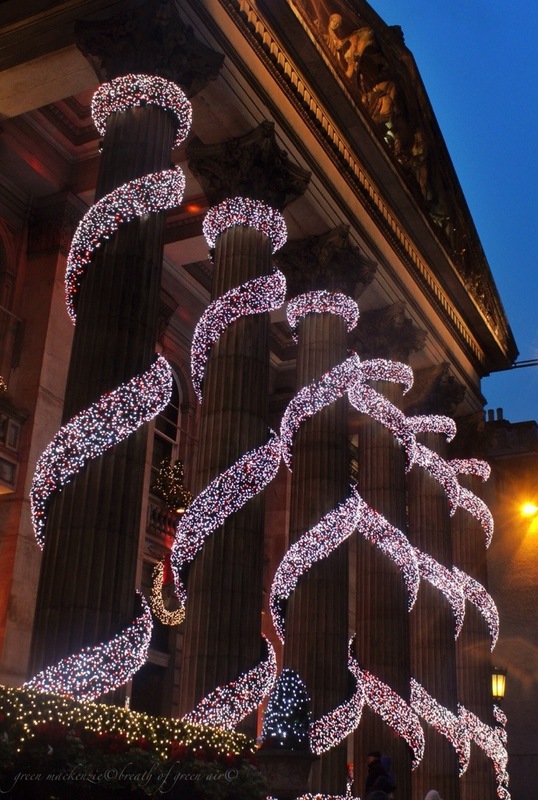 This Christmas in Scotland seems to be all about wild winds….there’s another storm forecast for Christmas Eve! Those are some splendid lights! Such a festive post! I particularly love the sidewalk scene. That sidewalk shot was my second attempt….it’s hard to catch detail with the contrast between the bright lights and the dark unlit shadows! I’m so happy you enjoyed living in Edinburgh, it’s such a fun and pretty city. 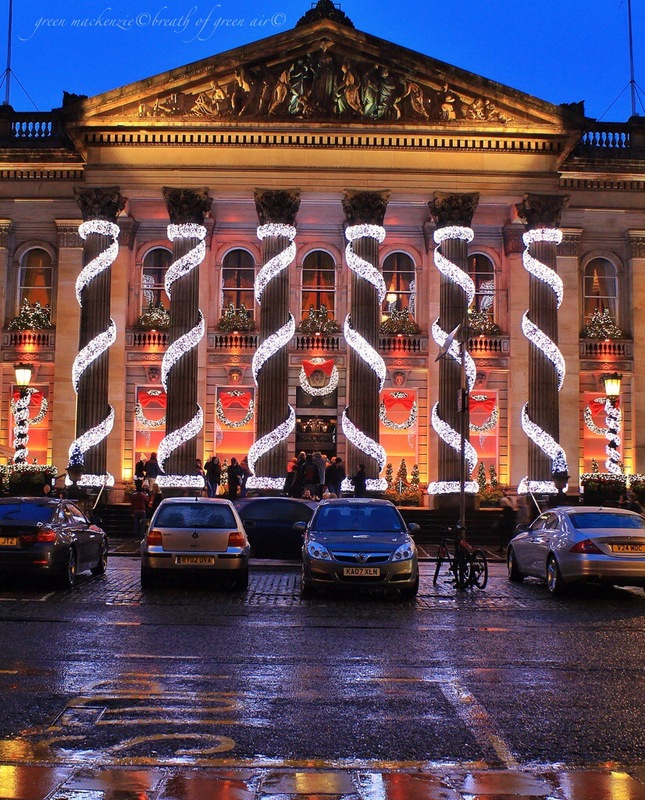 You’ll remember the short dark days of a Scottish winter, but the warm pubs and the bright lights help 🙂 I love to drink or eat in the Dome, it’s such a stunning setting it makes you feel glamorous no matter what you’re wearing! Sorry to have evoked a longing to be back here :-)Where are you based now? Beautiful, I love the scrolled look on the first shots! I really like what they’ve done – and what you’ve done with what they’ve done, braving extreme elements in the process. No wonder the Scots are a hardy lot. Oh yes, we have to be Colin or we would never cross the door! Glad you liked the photos. You got the perfect shots of the splendid Dome. How DID you manage not to get a bus in the across-the-road shot? 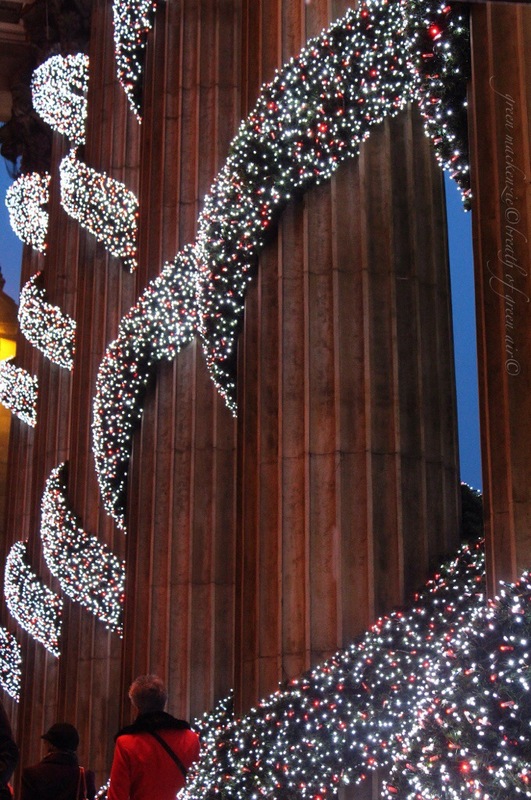 The Scottish Tourist Board should be knocking down your door to buy these lovely images 😀 Very jolly, and framing Edinburgh in the most festive way possible. The Dome and the Mound are the quintessential images of this time of year. Nice memories for me, Seonaid 🙂 Funnily enough I was out to lunch yesterday with a friend who was talking about the Dome. It was one of her recommends that I forgot about (or didn’t have time for 🙂 ) when I was there. It really is Mike, and it rubs off on me a bit…..all the bright lights help to make up for the dark short wet days we’re having! It’s cool isn’t it…..I love that sort of indigo blue night sky. It just looks so magical where you live! I think so too…..even in the wind, rain and short days of winter. Today it was still pitch dark at 8am, and dark again by around 3pm! It feels cold but I cannot perceive the wind, that’s funny, how did you do that!? 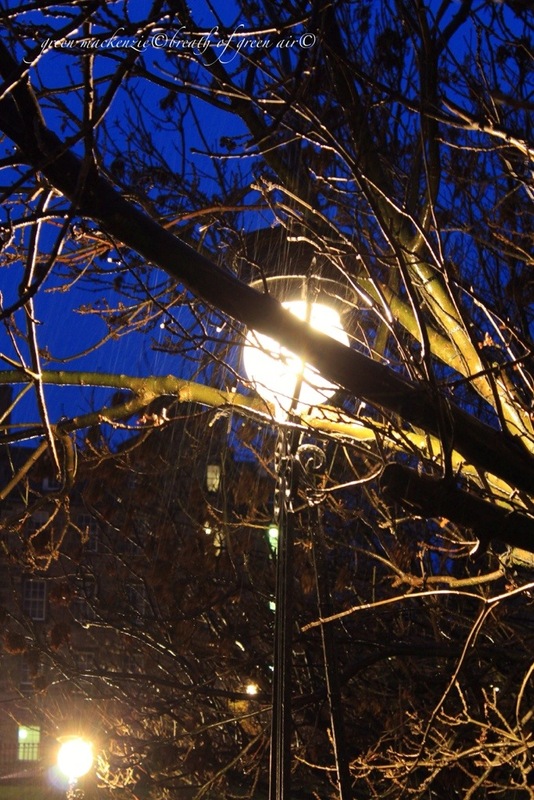 Thanks for braving the storm to take such beautiful photos! My pleasure, especially when I get such lovely feedback! You may have had difficulty taking these shots but they are stunning. I have one David, but I’m afraid that I wasn’t going to be fiddling around with gear on a day like this. It was a see, snap, move sort of photography day 🙂 I find the ND filter a bit if a fiddle, which is fine on a warm clear day….but perhaps I just haven’t practised enough. Oooh, dramatic shots. Nice work. I can only agree Jono, and even in the rain and howling wind I love it!